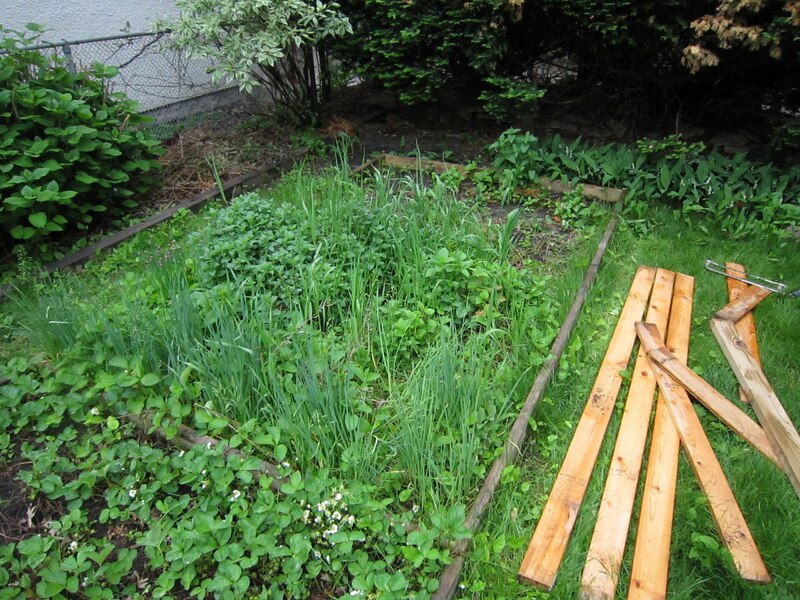 The herb garden in my backyard is very overgrown and has been for years. This year I decided to tear everything out, completely get rid of all the weeds, and start over with much smaller amounts of everything. 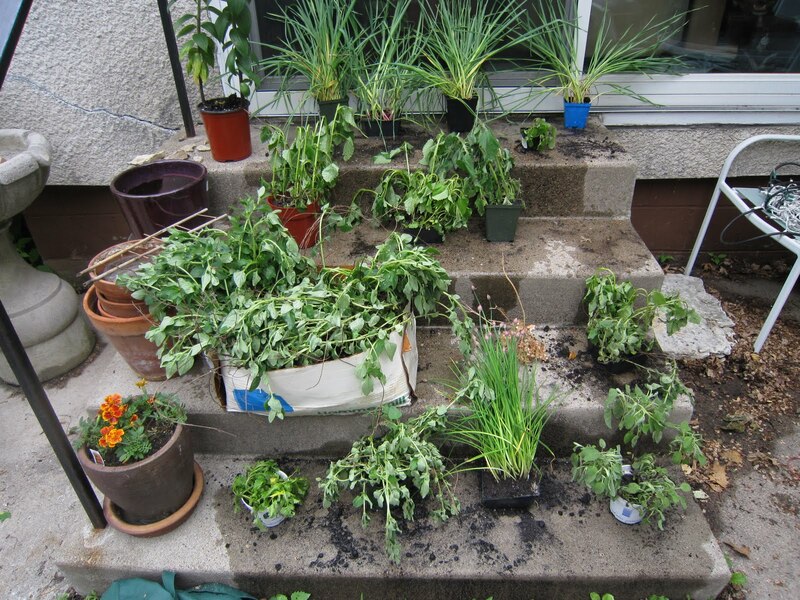 My plan was simple: Step 1) Pull out plants I want to keep and save them in pots somewhere, Step 2) Rip out everything else, Step 3) Put saved plants back in ground. Of course, it did not go according to plan. First I dug up the plants that needed keeping. This was surprisingly challenging, and took well over an hour. Many of the plants firmly believed they were not meant for being dug up, and made my life as difficult as possible by having roots which went in strange, unpredictable directions. 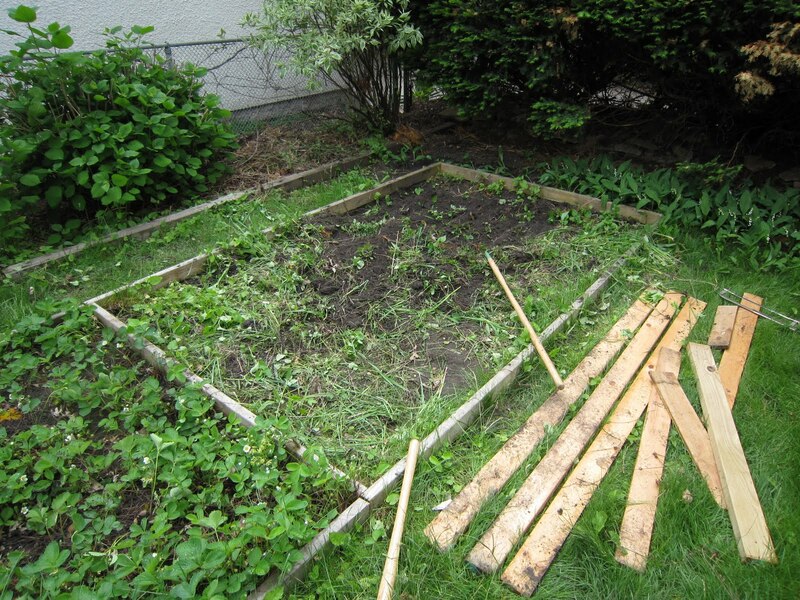 Also, there were weeds growing amongst the good plants, so I had to weed while digging, and the weeds were none to happy either about being up-rooted. 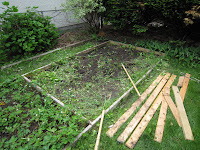 Half-way through this process, I decided it would be easier if before I finished I put a few more boards into the rectangular garden to make a sort of grid. This way, each plant would have its own, pre-defined space, and would make keeping track of everything much easier. We'll see if I ever get to that part. 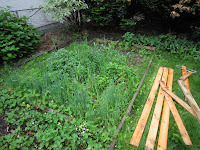 After digging up all the plants, it was time to till and weed and get everything else green out of the patch. 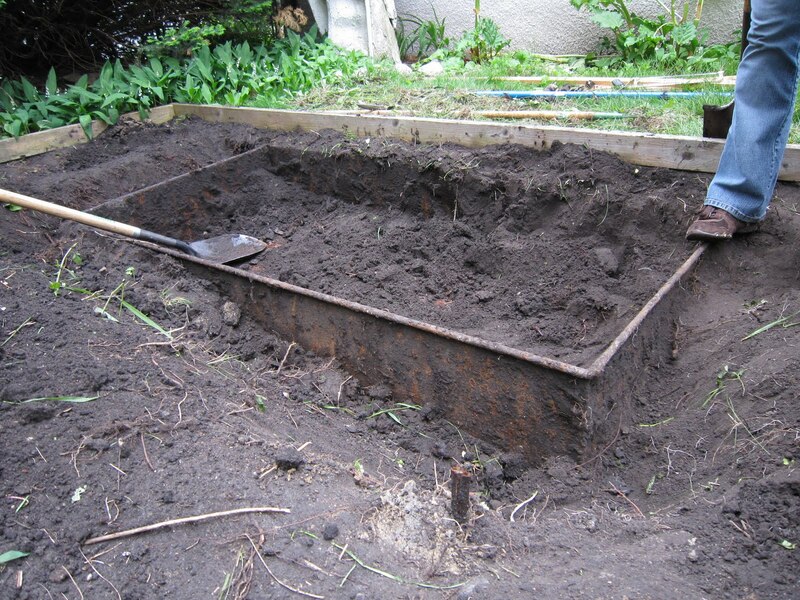 This was not a very fun job, as it involves hacking apart ancient roots and digging up endless weeds. But wait, there's more. 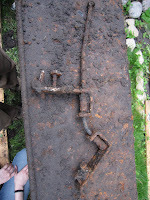 To my surprise, I discovered our garden plot is home to some mysterious metal tubes. I started excavating, and realized the tubes were actually the lips on a large....some sort of metal trough (Note: I called the electric company and cable company to make sure I wouldn't kill myself if I kept digging around deeper). 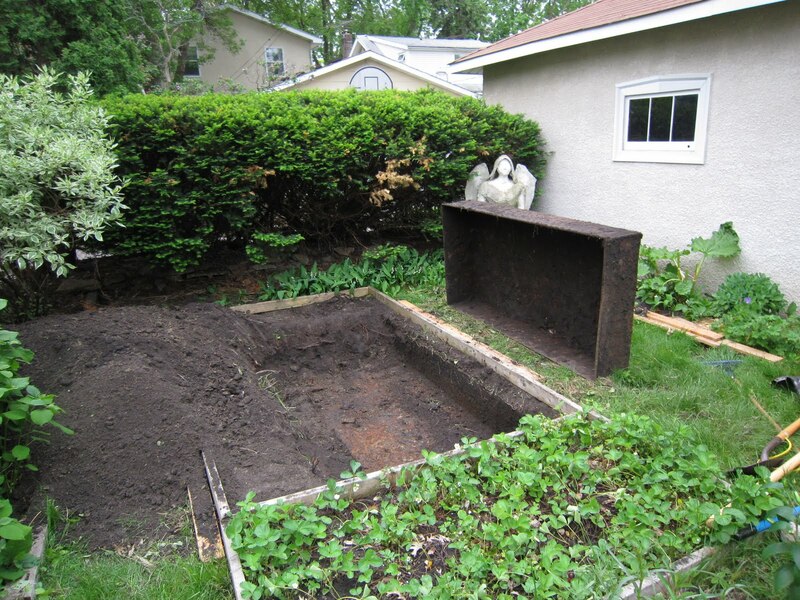 I dug more and more, and slowly got the dimensions of the unknown object. 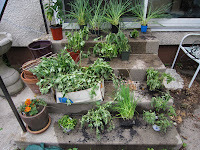 Turned out it took up most of the garden. And was buried in over a foot of packed dirt, but at least it had a bottom below the dirt. I started digging, figuring that whatever this was, it did not belong amongst herbs. An hour and a half later, I had made almost no progress, and my friend Korey joined in the effort. 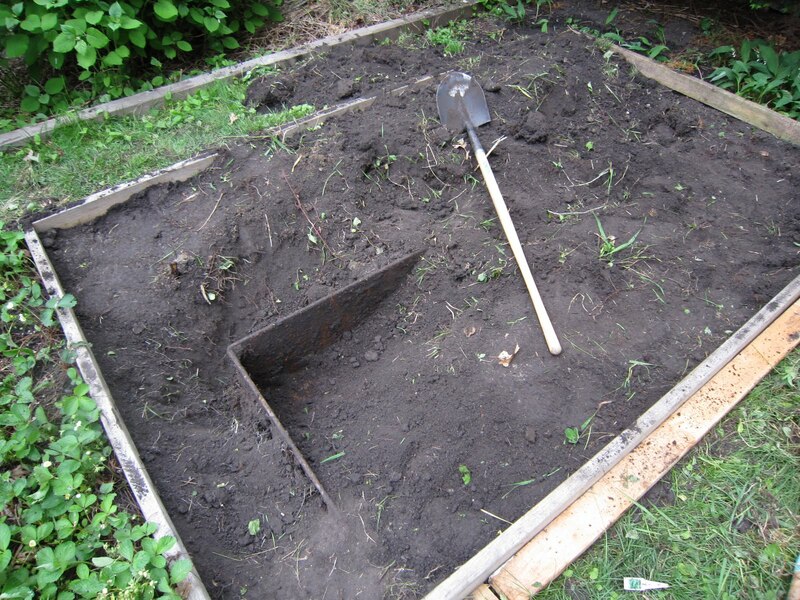 Step one: dig a hole in a box. Once the dirt was cleared out of the box, we started working on digging around the sides of the box. Another hour and a half later we discovered the box-like object had some sort of trailer hitch on one end. Yet another hour more and we could finally pry the box out of its dirt home (along the way we made some hilariously mis-guided attempts to free the box before digging it out enough; totally my fault and totally unproductive). Our best guess is that it is some sort of wagon you would attach to a tractor. The age is uncertain. That concluded the day. 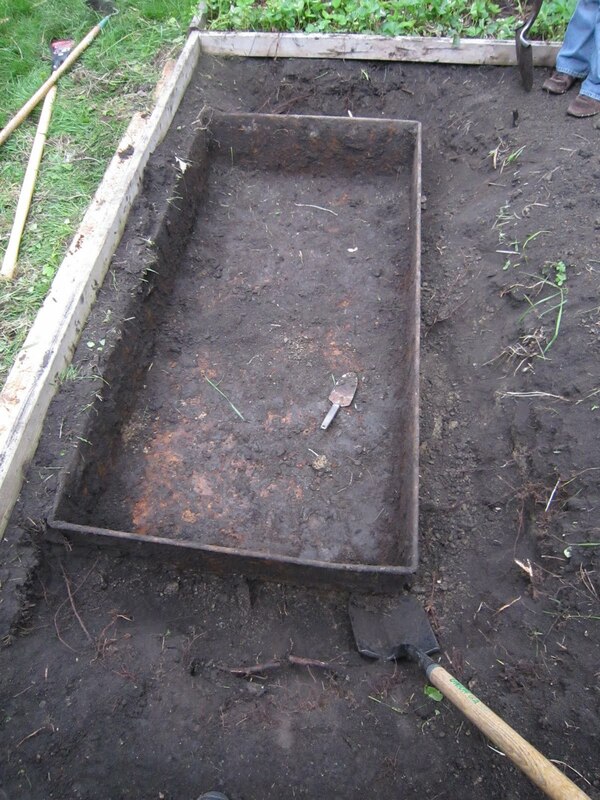 It had been something like 6 hours of digging for me, and the garden is arguably worse off than when I started. 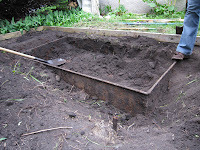 At least now the buried wagon has been liberated and on the plus side the dirt has been very well churned. 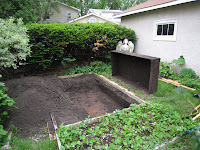 It seems like, especially since the wagon is completely parallel to the side of the garden that it was probably used for planting. Although I like my theory that your house is like Pompeii and there's a whole civilization underneath your house.